Every year, ESDi receives international students who come from universities around the world, which marks our intention to promote an education based in multiculturalism as one of the added values of our official studies in Design. In order to be accepted as an Exchange Student in ESDi and to get your credits recognized, you must confirm that you are enrolled in one of the centers with which ESDi has a valid agreement for exchange. First Semester (autumn/winter) or full academic year: April 15. Second Semester (spring/summer): November 15. Motivation letter explaining the reasons why you want to come to ESDi. Digital Portfolio: it can be a webpage, a WordPress or a PDF file. A copy of the ID card or passport. 2 ID photos. Photographs must be original and sent by ordinary email or handed in the first day of class. Applications received after the deadline for the submission of the documents will not be considered and will be out of the selection process. In order to follow our classes, taught in Spanish and Catalan, incoming students must have a B2 level in Spanish. In order to facilitate their stay in Barcelona-Sabadell, students must solve their housing situation with time. Here’s some advice on how to achieve it. Before arriving to Barcelona, you must take into account the administrative and living expenses you will generate along your stay. Whether you’re a UE student or a non UE student, this is the information you need so that your travel papers meet the Spanish requirements. ESDi’s international students have access to a counselling service that facilitates their academic integration and their stay in Barcelona-Sabadell. Our guide for foreign students will teach you all you need to know about life in Barcelona-Sabadell, from its culture to its transport. Most of ESDi’s classes are taught in Spanish and Catalan and, because of that, incoming students must have a B2 level in Spanish. ESDi also has an English Design Degree and offers the possibility to be a part of exchange programs in English. Nonetheless, the academic offer in this language is less than in Spanish or Catalan. ESDi also offers support to those international students who wish to perfect or improve their Spanish knowledge. Every student has the responsibility of finding housing during their stay in ESDi. Students are constantly informed of their need to find housing swiftly and to plan a budget that will allow them to afford different living expenses. We recommend you come and visit Barcelona before you choose housing. It’s essential that you get a good look at the rooms you’re interested in before you sign any contracts or pay any amount of money. This means you will have to stay temporarily in a hostel or hotel before you find your definitive housing. Private housing, through agencies and proprietors, is usually the quickest way to find a place to stay. Among the available platforms, Spotahome is centered in housing for students and young professionals. At Spotahome you will be able to access HD videos, blueprints and professional pictures of the flats or rooms, which, in addition to the multilingual customer attention, guarantees the client’s satisfaction. Moreover, Spotahome has a 15% discount over the service fee for ESDi’s students and workers, only available for housing in Barcelona, using the code ESDI989. Students can contact the International Relations Department, interchange@esdi.edu.es with any questions or doubts. If you’re an Erasmus student, you won’t have to pay any academic or enrolment fee. Nonetheless, it’s possible that you’ll have to pay small fees for printing, photocopies or materials, as every other ESDi student. Moreover, you will have to consider all the other living expenses that come with living abroad: travelling, eating and renting housing. Please contact our International Relations department, interchange@esdi.edu.es, for more information in expenses, scholarships and other types of financing. Under this modality, exchange involves academic and enrolment fees. In addition to this, you’ll have to pay small fees for printing, photocopies or materials, as every other ESDi student. Moreover, you will have to consider all the other living expenses that come with living abroad: travelling, eating and renting housing. Please contact our International Relations department, interchange@esdi.edu.es, for more information in academic fees, enrolment fees, and any other doubt you might have. It’s important for you to think ahead about all the expenses you will have during the exchange program. Plan your finances from the very start, creating a realist Budget of the money you’ll need while in Barcelona. Full flat in Barcelona: 750 – 1350 €/monthly (from 1 to 4 rooms). Full flat in Sabadell: 650 – 1000 €/monthly (from 1 to 4 rooms). Room in a university dorm in Barcelona. Room in a university dorm in Sabadell or Terrassa. Individual room: 350 €/monthly, approximately. Double room: 234 – 475 €/monthly. The student must make sure his or her travel documents, including Passport and visa, are in order and meet all the requirements of the Spanish state, in order to accomplish an agile immigration. Check that your passport will be valid for your entire time in ESDi, plus an additional 6 months after your planned date of return. If you have a non UE passport, ask for information in your country’s Spanish embassy to get to know the requirements needed in order to get a student visa. Spain has a free health system for each and every one of its citizens. Students that come from the UE can gain free access to it by presenting their European sanitary card, which lets them receive medical assistance in the same condition as Spanish citizens. Non UE students, nonetheless, will have to get a health insurance plan that covers their study period in ESDi. You can hire the insurance with a Spanish company or with a company that covers your stay in Spain. In order to get your student visa, you will need to demonstrate that you have sanitation coverage. Para la obtención del visado de estudiante es necesario demostrar que tienes cobertura sanitaria. ESDi gives international students the chance to access a counselling service aimed at helping them with different aspects of life in Barcelona-Sabadell, as well as orienting them in matters that are not directly linked to the academic field. The Counselling Service for International Students wishes to facilitate the student’s integration in ESDi through a welcoming and informative space that helps introduce them into university life. Contact our International Relations Department (interchange@esdi.edu.es) in order to get all the information you need. Barcelona is a Mediterranean city with a privileged location in the European map. 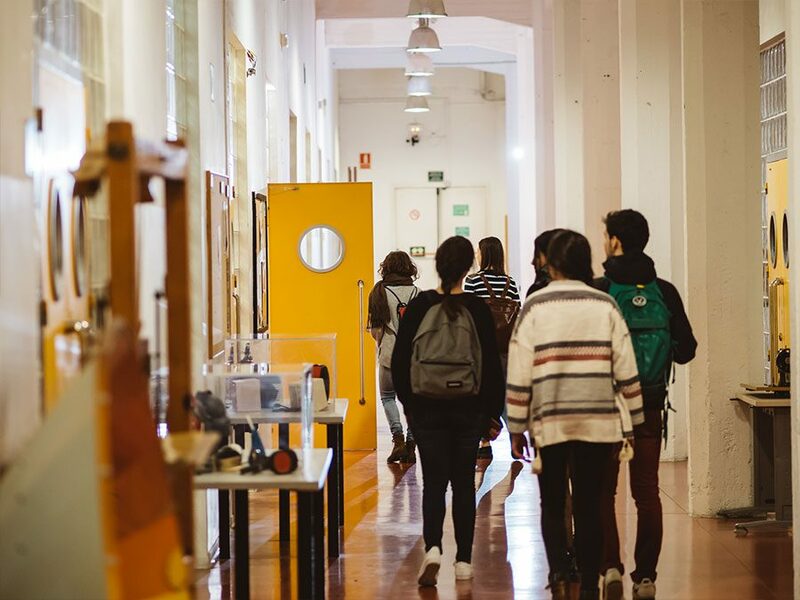 We know coming to live in Barcelona-Sabadell can be an exciting experience for any foreign student, but we’re also aware of the complexity it might suppose for those who are not familiarized with the city. In this page we will help you with the basics of Barcelona-Sabadell, and we will give you some advice about day to day life that will make it easier for you to become a part of this vibrant city. Most students open up a bank account in order to manage their finances. We recommend you talk to your bank before coming to Barcelona-Sabadell so that the entity can give you all the information you need beforehand. Locally, most banks only ask for the student’s passport. Go to the official websites of the banks located in Barcelona-Sabadell so that you know all about the documentation you need and are able to choose the entity that suits your needs. Living in a new city is a great opportunity to get to know new people. No matter where you’re from, you will find people with similar interests, and being an ESDi student will also allow you to become part of an international creative community. For more information, contact our Student Association, in charge of organizing cultural and social events. Profoundly shaped by the influence of architect Antoni Gaudí, Barcelona is one of the most innovative cities in the world, inspiring multiple artists, designers and entrepreneurs all over the globe. While in Barcelona, you will always be able to find something that will influence your creative career in ESDi. Barcelona has different landmarks that have been declared as World Heritage Sites. Furthermore, the city has very important museums like the Barcelona Design Hub (DHUB), the Center for Contemporary Culture of Barcelona (CCCB), The Contemporary Art Museum of Catalonia (MNAC) and associations like the Forstering Arts and Design (FAD). Guia BCN informs about everything you can do in Barcelona, from events to workshops. Time Out is the essential guide in order to know what goes on in the city every week. Restaurants, bars, exhibits, concerts and many more. In order to save all the money you can, our Student ID gives you discounts for shops, restaurants and bars all over Barcelona and Sabadell. Contact our International Relations department interchange@esdi.edu.es for more information. As a student in Spain, you will probably use public transportation to move around. The good news is that there are many mobility options for you, depending on your budget and your location. The Barcelona metro is a public and subterraneous means of transport that offers its services in Barcelona and its surroundings. It currently has a total of 12 metro lines that connect the city from different points, facilitating accessibility and offering its service for all. Barcelona also has an urban bus network that cover the city with its collective transport services. Barcelona also offers a night bus service called Nitbus, which circulates around Barcelona and the first metropolitan area. The urban bus network of Sabadell, called TUS, offers its services in the entire city all through the day in order to take care of the citizens’ and tourists’ needs. The Generalitat de Cataluña Trains (FGC) offer 12 railroad services in two independent networks: the Barcelona-Vallès line and the Llobregat-Anoia line. The Barcelona-Vallés line connects Barcelona with Sabadell, the city that holds the ESDi Campus. In order to get there, you must take the S2 Barcelona-Vallés line and stop in the Sabadell Rambla station, 10 minutes away from the ESDi Sabadell Campus. The Renfe commuter train connects Barcelona with the main Catalonian cities, among which is Sabadell, the city that holds ESDi’s main facilities. In order to get to ESDi, you must take the commuter train R4 headed to Terrassa or Manresa and stop in the Sabadell Center station. The ESDi Sabadell headquarters is just 5 minutes away from the station. The Renfe station is also near the Sabadell bus station.